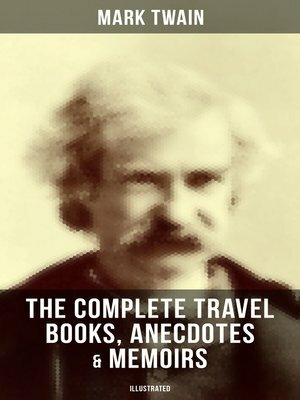 This unique collection of "The Complete Travel Books, Anecdotes & Memoirs of Mark Twain (Illustrated)" has been designed and formatted to the highest digital standards. "The Innocents Abroad" humorously chronicles Twain's "Great Pleasure Excursion" on board the chartered vessel Quaker City through Europe and the Holy Land in 1867. "Roughing It" follows the travels of young Mark Twain through the Wild West during the years 1861–1867. The book illustrates many of Twain's early adventures, including a visit to Salt Lake City, gold and silver prospecting, real-estate speculation and a journey to the Kingdom of Hawaii. "Old Times on the Mississippi" is a short account of Twain's experiences as a cub pilot, learning the Mississippi river. "A Tramp Abroad" details Twain's journey through central and southern Europe with his friend. As the two men make their way through Germany, the Alps, and Italy, they encounter situations made all the more humorous by their reactions to them. "Life on the Mississippi" is a memoir by Mark Twain of his days as a steamboat pilot on the Mississippi River before the American Civil War, recounting his trip along the Mississippi River from St. Louis to New Orleans after the War. "Following the Equator" – In an attempt to extricate himself from debt, Twain undertook a tour of the British Empire in 1895, a route chosen to provide numerous opportunities for lectures in English. The book is a social commentary, critical of racism towards Blacks, Asians, and Indigenous groups. "Some Rambling Notes of an Idle Excursion" presents a series of stories about a trip that Twain and some friends took to Bermuda from New York City. "Chapters from my Autobiography" comprises a rambling collection of anecdotes and ruminations of Mark Twain, assembled during his life. Samuel Langhorne Clemens (1835-1910), better known by his pen name Mark Twain, was an American writer, humorist, entrepreneur, publisher, and lecturer.